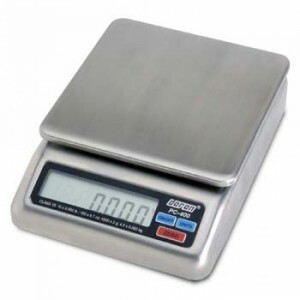 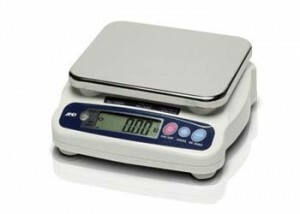 The HLWP Series of compact digital scales can be completely submerged in water. 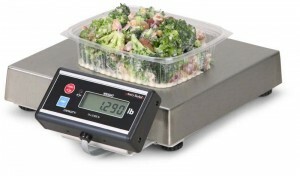 A small footprint is a great advantage where counter space is at a premium. 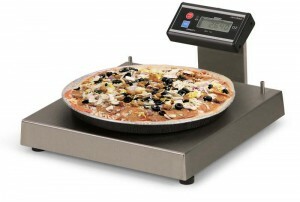 Perfect for use in pizza parlors, sandwich and salad shops, bakeries, supermarkets - anywhere portion control is required. 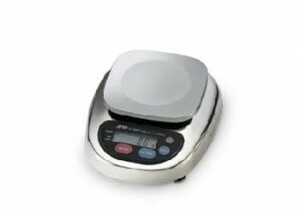 Use the 6112 to build consistent products and control ingredient costs, enhancing customer satisfaction and maximizing profitability. 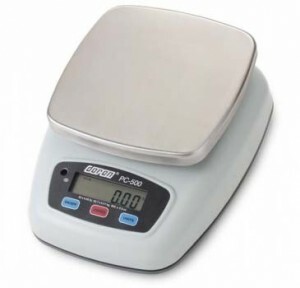 The PC-400 includes our field-proven exclusive "Quad-Spring" base design that virtually eliminates damage from shock and overload. 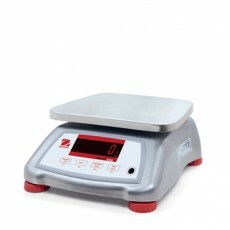 The OHAUS Valor 4000 water resistant food scale offers a winning combination of touchless operations, speed, and durability. 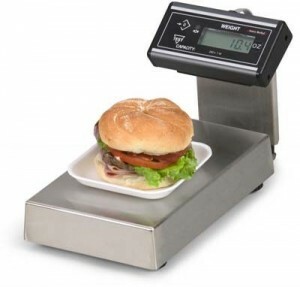 Portion Control Scale/Food Processing Scale.